Window films can block as much as 80% of the sun’s heat, and help retain interior heat in the winter! When you allow the sun to shine brightly through your exterior windows, it’s driving up your energy costs to cool your office as well as allowing annoying glare into what should be comfortable work spaces. Window tinting through the application of films to your windows provides a simple solution to this that will pay for itself in a short time. At Corporate Window Films, we have many years of experience at utilizing window film as well as state-of-the-art wall and window graphics to enhance office windows, walls, glass partitions and to maximize your brand. Contacting us to have our business apply film to your windows, walls, or to your interior glass office partitions has many benefits, and having our talented design team create applications to promote your brand elevates these benefits to another level. Located in Feasterville, Pennsylvania, we can improve your work spaces for customers and employees alike if you are located anywhere in the Philadelphia area. We provide solar control film for homes and businesses that will reduce the glare from the sun. 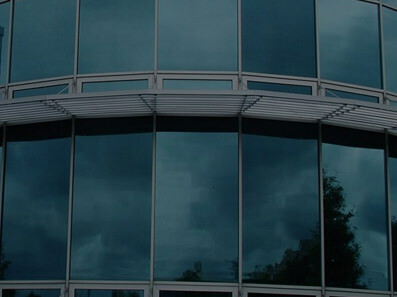 Window tinting is the perfect way to add more professionalism and privacy to your business! We can provide you with cutting edge wall and window graphics to better help brand and establish your business. 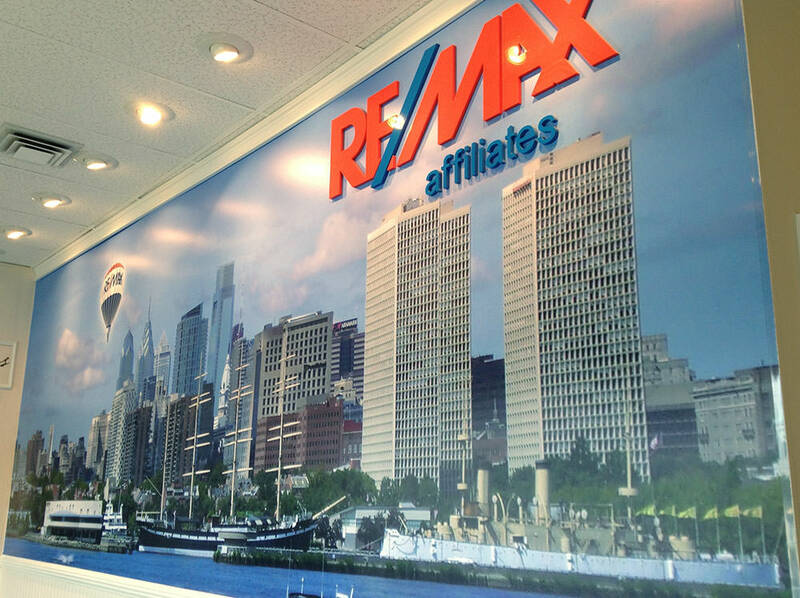 Cutting-edge wall graphics and window films to better help brands and establish your business. Our graphic designers have the artistry and experience to create graphics that will make your brand stick out in a positive way to any customers or clients. UV rays from the sun can fade carpeting, drapes, furniture and many other things you have in your office space. Film offers 99% UV reduction, which prevents premature fading. Our tinted window film will help lower your cooling costs. Window tinting film acts as an insulation for glass, keeping energy from escaping all year-round. 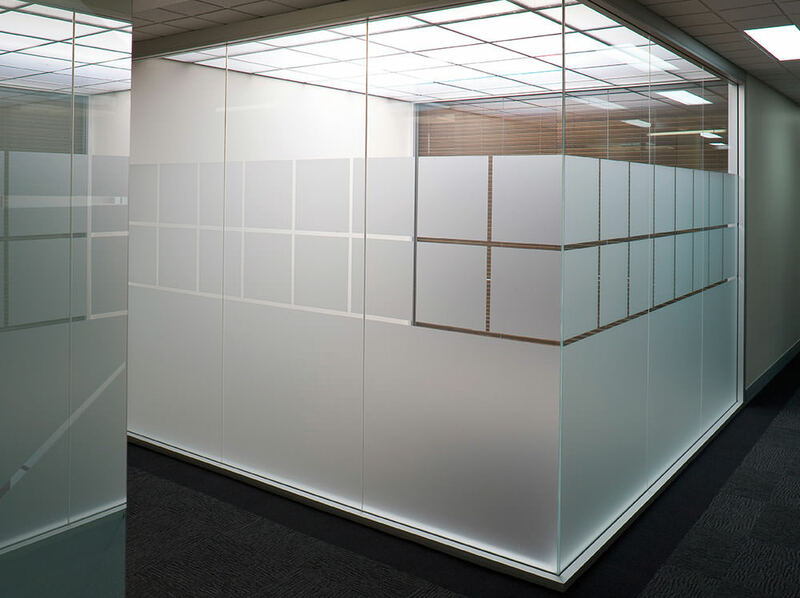 Our interior frosted window film that covers glass partitions between office spaces is highly decorative and can give your office a more attractive appearance. You may be proud of your clean glass, but it raises a safety issue of people walking into them if there's no window frost or tint on them to make their presence readily apparent. Is not just desired for the workforce, but for the consumer as well. It eliminates that feeling of being on display, or as we like to call it: the fishbowl effect.